Virunga National Park, Democratic Republic of Congo: A female mountain gorilla and her baby traipse through this Eastern Congo park, Africa's oldest national park. In recent months, soldiers loyal to a renegade Congolese general, Laurent Nkunda, have taken over large swathes of the park. 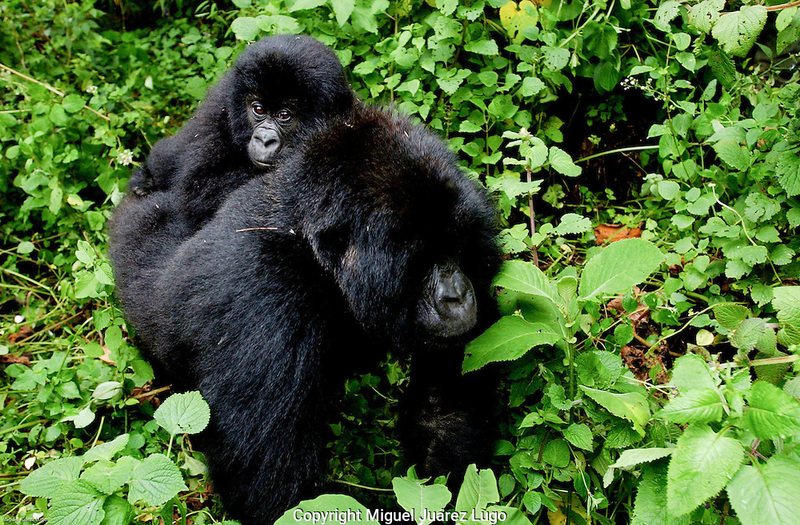 So far this year, seven mountain gorillas have been killed. (PHOTO: MIGUEL JUAREZ LUGO).